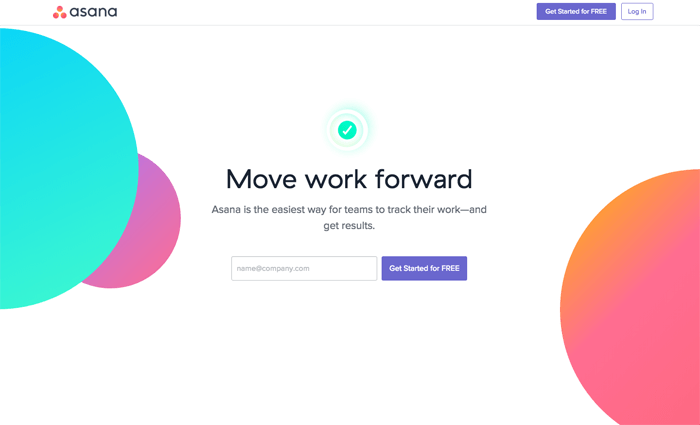 Description: Asana is project management for teams, and is flexible enough that some people use it for a CRM, or to track their individual projects and to-do lists. Keep track of ideas, assign certain tasks to team members, and monitor progress of projects easily with Asana. 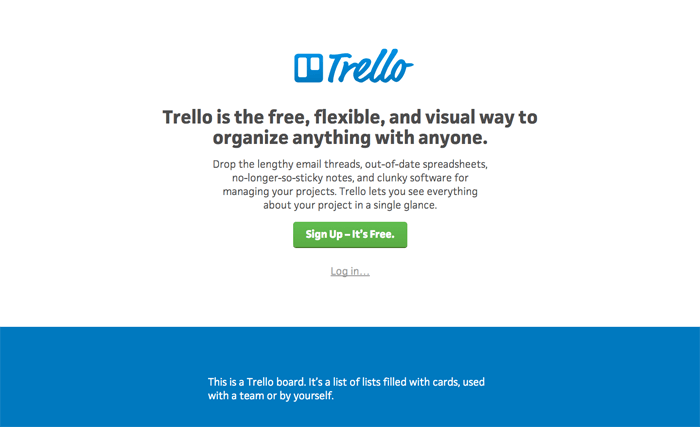 Description: Most people know about Trello, a hugely popular organization tool based on the Japanese KANBAN model, in which you move a card from column to column. I used it to organize and record all the tools for this site, and I use it to keep track of all my development tasks and marketing ideas, and it also makes a great funnel for fundraising or sales, as you can move a person from one column to the next as they go from cold lead to interested to closed, and so on. Trello is a super flexible and useful tool. Tons of API integrations too. Description: Workflowy is meant to be a to-do list, but it's flexible enough that you can shape it to fit other needs, like storing ideas, brainstorming and mapping things out. 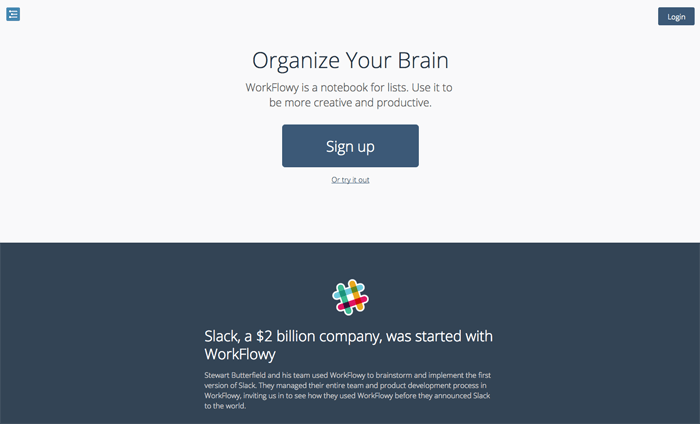 I've never used it personally, but it comes highly recommended, and they claim that Slack was originally organized on Workflowy! Did you expect to see Slack in this category? We figured everyone knew about it, that it was too obvious. It's definitely a great way to organize your team.